See more objects with the tag decoration, interior decoration, ceramics, container, vases, earth tones, 3D printing, decor, vase, vessel, ceramic, emergent. 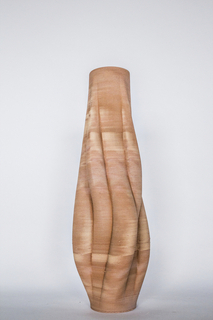 This is a 3D-printed ceramic vessel. It was designed by Olivier van Herpt. 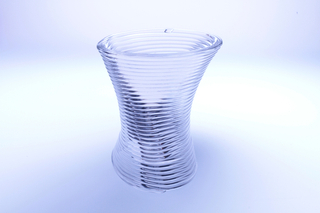 This object is not part of the Cooper Hewitt's permanent collection. It was able to spend time at the museum on loan from Olivier van Herpt	as part of Beauty—Cooper Hewitt Design Triennial. It is dated 2015. 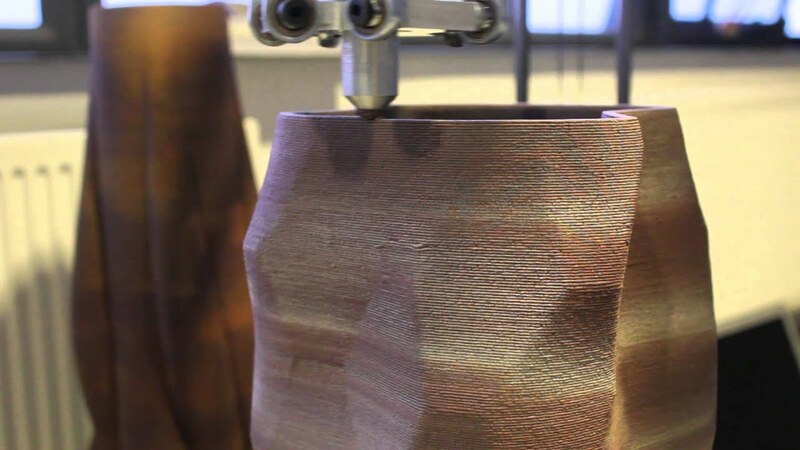 Its medium is 3d-printed ceramic. 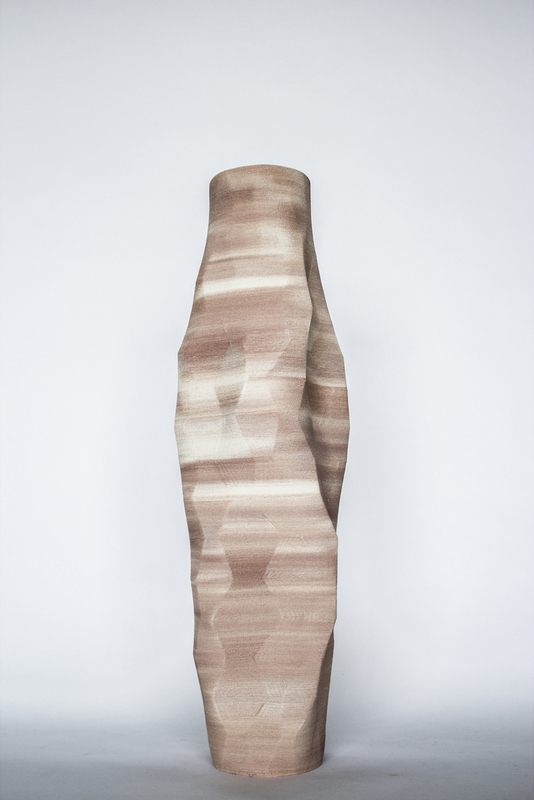 Van Herpt designed a 3D printer that produces large-scale forms in the medium of ceramics, a challenging material due to the weight of wet clay. 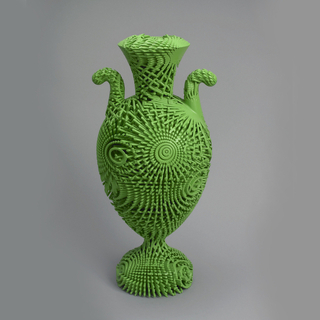 His astonishing pottery collections blur the line between the hand-made and the machine-made to showcase the craft of digital manufacturing. Van Herpt wants his tools to empower others to create as well. 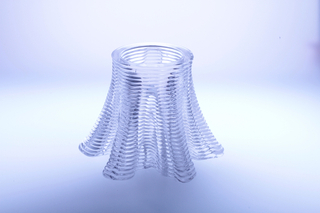 He hopes that as the technology becomes accessible to many, the beauty of 3D-printed objects will blossom. It is credited Courtesy of Olivier van Herpt. 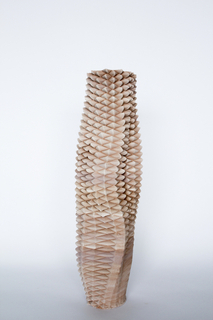 We have 1 video that features 3D-printed Ceramic Vessel, from Sediment collection, 2015.